Responsive automotive website design is an essential component of your online marketing strategy, with its enhanced features and ease-of-use for mobile consumers, automotive dealers can only stay competitive and relevant in SEO if they abide by current search trends. Inside WebManager, you can get a fully-functional responsive site up and runnning very quickly with a dedicated web team to help you along the way. The amount of consumers using mobile devices has now exceeded the amount of PC/laptop users, which means it is very important to have a website that caters to consumers using mobile devices. We are now offering free responsive websites to help mobile consumers find your vehicles online. Click here to see examples and pricing for our responsive website designs. Responsive design is an approach to web design where the width of the window scales to the width of the screen. So whether the user is viewing content on a desktop computer, tablet, or smartphone; the entire window will be in view and they won’t have to scroll left or right to view the content. 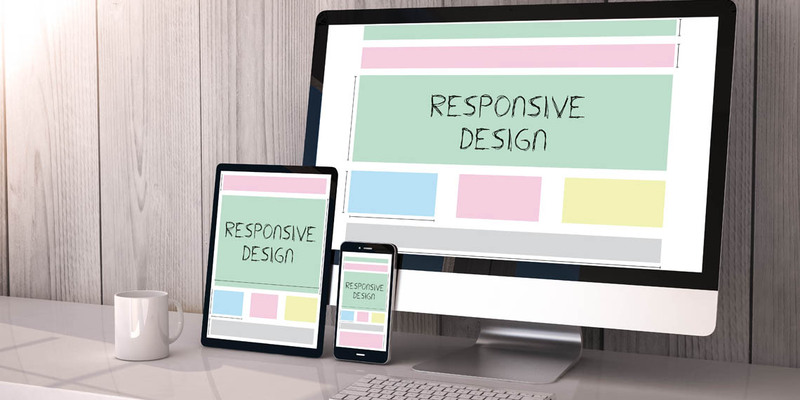 The difference between a mobile site and a responsive website is that mobile version is technically a separate website from the full version and doesn’t have as much content or functionality; whereas a responsive website is one site that scales to every screen and still has the same content and theme. Aside from aesthetic and easier user interface, responsive websites are very important for SEO. Google’s algorithm factors in mobile usability, which means your website’s font sizes, loading speeds, and scaling need to abide by Google’s "mobile friendly" standards. Otherwise, it can hurt your website’s search rankings.